designed to provide brands in the food and beverage industry with advanced order management analytics that track the cost of goods sold, document purchase history and help automate inventory purchasing. And now, it’s platform is getting another competitive edge. MarketMan is teaming up with the Square point-of-sale (POS) platform to provide an even more streamlined and innovative approach to inventory management. Brands like Mr. Chicken, an Ohio-based restaurant chain, are already seeing success from the partnership between Square and MarketMan. By using the Square POS app alongside MarketMan, Mr. Chicken is now able to automate inventory, save time with vendors and see all its costs in real-time. The integration has also allowed for sales tracking, and ultimately, a detailed log of remaining supplies for management, streamlining back of house operations and translating to fewer late nights and early mornings counting inventory. The MarketMan system automatically receives and reconciles invoices in one central place, consolidating back-of-house inventory into a one-stop shop, replacing what has traditionally been an extremely fragmented experience. MarketMan’s partnership with Square builds on the success that the company has experienced since its creation in 2013, including the results seen by Mr. Chicken. Originally founded in Israel by entrepreneur Noam Wolf, MarketMan started out as a vision of creating a restaurant supply network in which both restaurant operators and their suppliers would be able to collaborate and manage every aspect of the restaurant industry chain. The company took off in its local market—today, it’s used by 25 percent of all restaurants in Israel. And the brand’s success extends outside of its country of origin—both restaurant operators and suppliers like Coca-Cola and Unilever are tapping into the platform’s power. With its headquarters now located in New York, MarketMan serves thousands of restaurants across the U.S. And by teaming up with key partners like Square, Wolf says its reach is only going to continue expanding. Ready to start saving time and cutting costs? 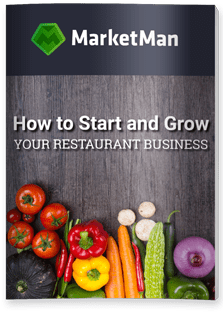 Request a demo of MarketMan and be sure to download our free guide, The Ultimate Guide to Lowering Food Cost in Your Restaurant.